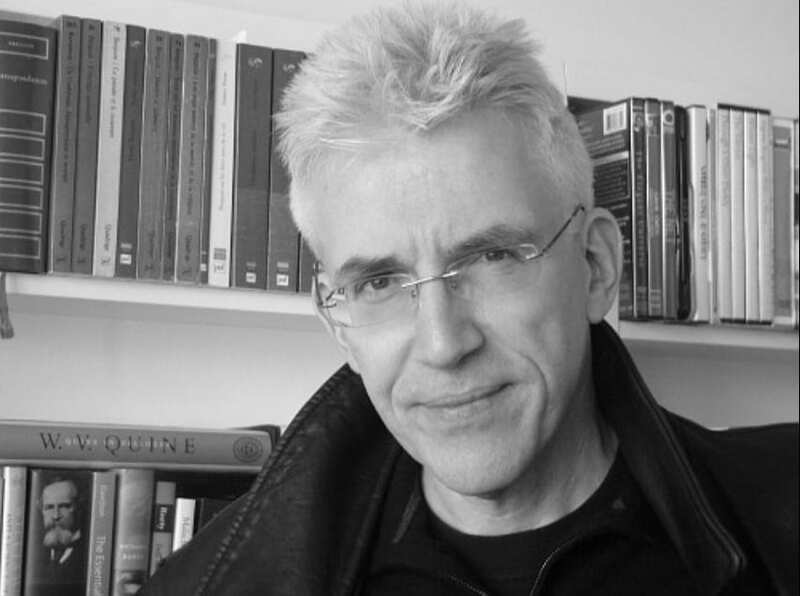 From January 2003 to June 2018, Hent de Vries held a joint appointment as Professor in the Humanities Center/Comparative Thought & Literature and the Department of Philosophy at the Johns Hopkins University. From October 2007 through June 2018, he held the Russ Family Chair in the Zanvyl Krieger School of Arts and Sciences. 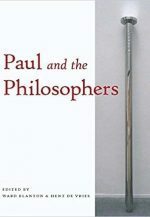 Before joining the faculty at Johns Hopkins, he held the Chair of Metaphysics and Its History in the Department of Philosophy at the University of Amsterdam (1993-2002), where he remained a Regular Visiting Professor of Systematic Philosophy and the Philosophy of Religion until recently. He was a co-founder of the Amsterdam School for Cultural Analysis (ASCA), an interdisciplinary research institute with a graduate program, and served as the Director of its governing board (1994-98) and its Scientific Director (1998-2004). He received his PhD in Philosophy of Religion from the University of Leiden in 1989. His previous teaching and research positions include: Mellon Postdoctoral Fellow in the Department of German at Johns Hopkins; Associate Professor of Philosophy at Loyola University of Chicago; Visiting Professor at the Departments of German and the Humanities Center at Johns Hopkins; Senior Visiting Scholar at the Institute for the Advanced Study of Religion at the University of Chicago; Senior Fellow at the Center for the Study of World Religions and Visiting Scholar at the Minda de Gunzburg Center for European Studies, Harvard University; Visiting Scholar at The Heyman Center for the Humanities, Columbia University; Distinguished Visiting Fellow, Cogut Center for the Humanities, Brown University. From September 2012 through January 2013, he was a Visiting Professor in the Council of the Humanities and a Stewart Fellow in the Department of German at Princeton University. 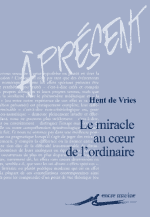 From May 2007 through June 2013, Hent de Vries was Directeur de Programme at the Collège International de Philosophie, in Paris. 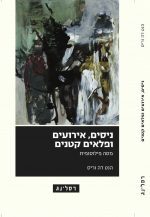 In 2012-2015, he was a Distinguished Visiting Professor at the Faculty of Humanities of the Hebrew University, Jerusalem, at the invitation of its President, Menachem Ben-Sasson, and its then Rector Magnificus, Sarah Stroumsa. During three years he taught regular intensive, three-week-long seminars in the Department of Comparative Religion as well as under the auspices of the European Forum, which coordinates and initiates matters related to European Studies at the Hebrew University for the Faculties of Social Sciences, Humanities, and Law. 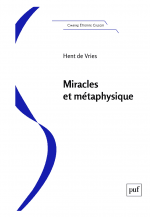 In June and July 2012, Hent de Vries served on the faculty of the School of Criticism and Theory at Cornell University, where he offered a six-week seminar on "Miracles, Events, Effects." Later that year he was elected a Member of SCT's Board to be one of the School's Senior Fellows. He was further appointed by the full Board to serve as SCT's Director from June 2014 through August 2018 and then reappointed to serve a second term, through August 2022. At Johns Hopkins, Hent de Vries served as an affiliated faculty member of The Leonard and Helen R. Stulman Jewish Studies Program in the Zanvyl Krieger School of Arts and Sciences. He was a member of Member of the Project on Evolution, Cognition, and Culture as well as a member of the Board of Directors of the Program for the Study of Women, Gender, and Sexuality (WGS). He finally served as a member of the Steering Committee of the Center for Advanced Media Studies (CAMS) and of the Dean's Islamic Studies ​Group and, from its foundation in 2014 until 2018, of the Islamic Studies Program. From February 2012 through February 2014, he was an invited member of a two-year long seminar, comprised of participants drawn from universities, think tanks, government agencies and media, and sponsored by the newly launched Global Politics and Religion Initiative (GPRI) to promote the study of religion and international affairs at the Johns Hopkins University's Paul H. Nitze School of Advanced International Studies (SAIS). Since May 2015, he is an Executive Board Member of the International Consortium of Critical Theory Programs (ICCTP), funded by the Mellon Foundation. In May 2017, he was Professeur Invité at the Centre de Philosophie Contemporaine de la Sorbonne, Université de Paris 1 Panthéon-Sorbonne. Hent de Vries has been appointed as the 2018 Titulaire de la Chaire de Métaphysique Etienne Gilson at the Institut Catholique in Paris. In that capacity, he will present six public lectures in March 2018, which will be published by the Presses Universitaires de France. The endowed chair and lecture series commemorates the work of the well-known twentieth-century medievalist and Descartes specialist, Etienne Gilson. Earlier chair holders include Pierre Aubenque, Alain de Libera, Jean-Luc Marion, Stanley Rosen, Stéphane Moses, Jean-Louis Chrétien, Francis Jacques, Jean Greisch, Jean Grondin, Rémi Braque, and Cathérine Chalier. In July 2017, Hent de Vries was appointed as Paulette Goddard Professor of the Humanities at the School of Arts and Science,​ New York University, with appointments in Religious Studies, German, Comparative Literature, and Philosophy. His teaching focuses on modern European thought, but it reflects other interests as well. He offers undergraduate courses and graduate seminars on the history and critique of metaphysics, philosophies of religion, political theologies, concepts of violence, religion and media, the tradition of spiritual exercises and of moral perfectionism as well as on literature and the question of temporality. 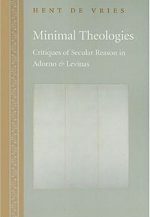 His principal publications include: Philosophy and the Turn to Religion (Johns Hopkins UP, 1999, 2000), Religion and Violence: Philosophical Perspectives from Kant to Derrida (Johns Hopkins UP, 2002, 2006), and Minimal Theologies: Critiques of Secular Reason in Theodor W. Adorno and Emmanuel Levinas (Johns Hopkins UP, 2005). 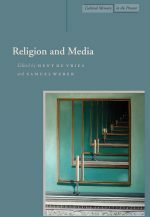 He is the co-editor, with Samuel Weber, of Violence, Identity, and Self-Determination (Stanford UP, 1997) and of Religion and Media (Stanford UP, 2002). 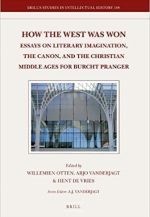 He is also the co-editor, with Lawrence E. Sullivan, of Political Theologies: Public Religions in a Post-Secular World (Fordham UP 2006), the editor of Religion: Beyond a Concept (Fordham UP 2007), and the co-editor, with Willemien Otten and Arjo Vanderjagt, of How the West was Won: Essays on Literary Imagination, the Canon and the Christian Middle Ages (Brill 2010). 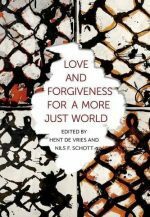 He is also the co-editor, with Ward Blanton, of Paul and the Philosophers (Fordham University Press, 2013), and, with Nils F. Schott, of Human Alert: Concepts and Practices of Love and Forgiveness (forthcoming from Columbia UP, 2014). Currently, he is completing several book-length studies, including a trilogy on the subject and politics of global religion in an age of new media. 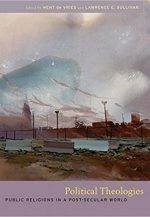 The volumes' planned titles are Of Miracles, Events, and Special Effects (solicited by The University of Chicago Press); Miracle Workers of the Eleventh Hour; and Out of the Ordinary: Moral Perfectionism, Religion, and the Case for Deep Pragmatism. Two further studies, entitled Instances in the Literatures of Time (under advance contract with Stanford University Press), and Spiritual Exercises: Concepts and Practices (under contract with Harvard University Press), respectively, are in preparation. 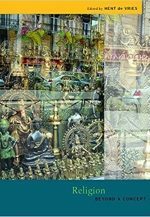 Hent de Vries is the editor of the book series Cultural Memory in the Present, published by Stanford University Press. He was a consultant of the production team of Jumping Pages Inc. for the award winning iPad and mobile phone app Maggie and her Magical Glasses. SOCIAL SCIENCE RESEARCH COUNCIL BLOG ON CHARLES TAYLOR'S "A SECULAR AGE"
DE UNIVERSITEIT ALS KOSMOPOLIS: MARTHA NUSSBAUMS' "CULTIVATING HUMANITY"
Hent de Vries was Chair of The Future of the Religious Past, an interdisciplinary program sponsored by the Netherlands Organization for Scientific Research (NWO), which disbursed 5.4 million Euros in support of advanced research and international conferences at Dutch universities from 2002 to 2012. In this capacity, he also served as General Editor of five volumes of proceedings resulting from the program. From January 2006 until October 2009, he served as an advisor to the Netherlands Scientific Council of Government Policy (WRR) in The Hague, and as a member of its project group on Religion in the Public Domain. In 2006, Hent de Vries was a member of the working group "Values, Beliefs and Ideologies as Forces behind the Changing Europe," sponsored by the Humanities in the European Research Area (HERA), a partnership between fifteen Humanities Research Councils across Europe and the European Science Foundation. In 2007, he was a member of the Management Committee of the European Science Foundation's Forward Look Program on Religion and Belief Systems. From November 2010 through June 2013, he was the Chair of the Council of the Human Sciences at the Fetzer Institute in Kalamazoo, Michigan. This international council, consisting of some eleven members, was sponsored as part of Fetzer's longterm project to “foster awareness of the power of love and forgiveness in the emerging global community.” The Council disbursed an annual sum of $ 550.000 to support a wide variety of projects. "Phenomenology and Theology: Heidegger’s Luther," School of Criticism and Theory public lecture series at Cornell University, July 5, 2017. "Out of the Ordinary: The Everyday Revisited," School of Criticism and Theory public lecture series at Cornell University, July 20, 2015. "Un pragmatisme profond," "Héritages et survivances de Jacques Derrida" Conference, Fondation Maison des sciences de l'homme, Paris, November 6, 2014. "Allo?" Presentation at the conference, "The Telephone Book @ 25," Deutsches Haus, NYU, October 30, 2014. Unpacking Derrida's Library (screening October 10th, 2014, from 5:15-6:15 pm at Princeton University), a video featuring comments by Judith Butler, Hélène Cixous, Hent de Vries, Avital Ronell, Gayatri Chakravorty Spivak, and Samuel Weber (122 minutes). "Global Humanities and Cultural Dynamics," Freie Universität, Berlin, January 23, 2014 (starting at 53'). “The Events of the Arab Spring and the Dual Optics of Political Vision,” Keynote Address at the Conference on "Islamic Media: The Sense and Sensation of Religion," Duke University, October 4, 2013. "Inverse versus Dialectical Theology: The Two Faces of Negativity and the Miracle of Faith," Plenary Lecture at the School of Criticism and Theory at Cornell University, July 16, 2012. “Of Old and New Archives: Sites for Philosophical Fieldwork,” Lecture at the Conference on “Rethinking the Human Sciences,” Institute for Comparative Literature and Society, Columbia University, New York, March 30, 2012. Contribution to the panel on 'World Religions,' Center for the Study of World Religions 50th Anniversary Symposium, Harvard University, April 16, 2010 (starting at 53'45'').